Working with any client is about a detailed understanding of your requirements. We work with you to understand what and why you need either new or upgraded equipment and then formulate a plan with you to achieve this. We appreciate fire & security systems are not the first priority on most board room agendas, so we work quickly with you to understand your requirements, agree a competitive price, undertake the work and leave you protected. Our technical engineers have many years’ experience in both systems design and product capability. This combined with the latest knowledge of your mandatory fire & safety obligations means we can offer advice based on knowledge and experience. Our site survey if FREE OF CHARGE and during a brief session we can understand your detailed requirements and confirm a competitive price. Before a project begins we assign a project engineer to you. This person is solely responsible for both the installation and service we provide. They are your single point of contact. The project engineer will provide you with a method statement and risk assessment so you know exactly what work we will be carried out. They then oversea the entire project from initial design through to completion. Once the project is completed we provide a project questionnaire for your feedback which helps us maintain our high levels of service. 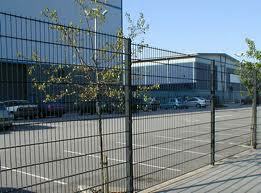 Key Stone Security offer UK wide and international maintenance services. A contracted maintenance agreement means you have peace of mind that your fire & security systems are functioning correctly, and should anything go wrong you and your staff know who to call to resolve matters efficiently. Key Stone Security also operate a 24 hour callout facility with all service contracts. Our response teams are just a phone call away and can be on site for any callout within a few hours of receiving notification.